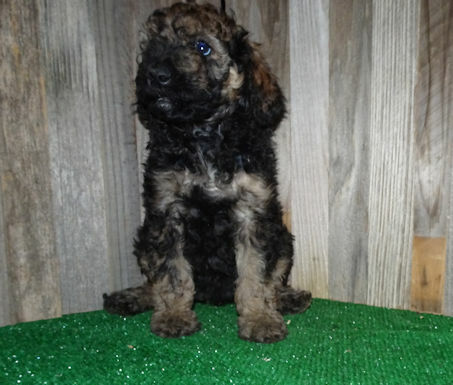 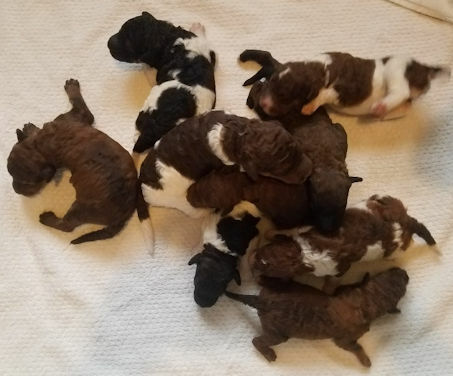 Family members are proud to announce that Lulu is gave birth to a beautiful litter of Labradoodles on February 19, 2019. 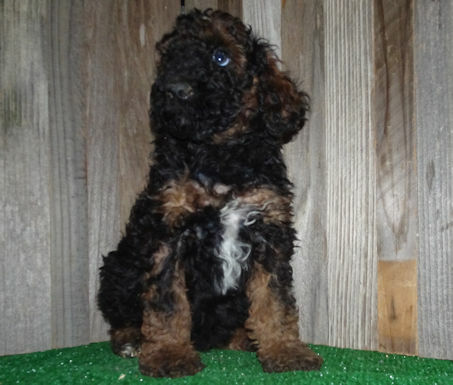 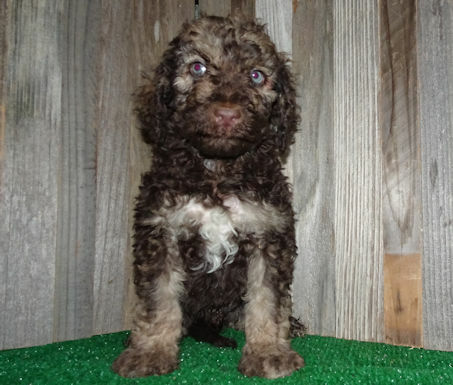 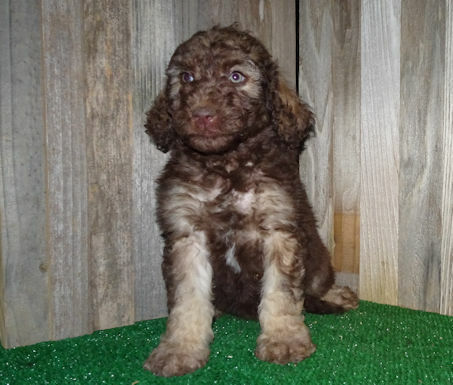 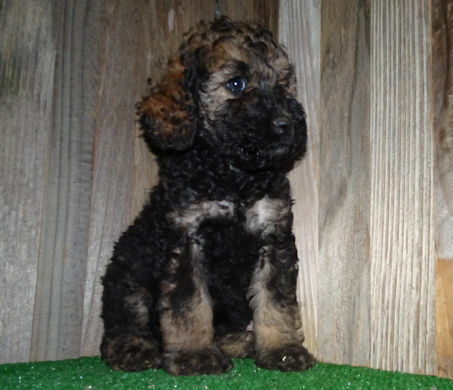 There are 9 puppies (5 boys / 4 girls) in Chocolate Sable and Chocolate Phantom, some with abstract white markings. 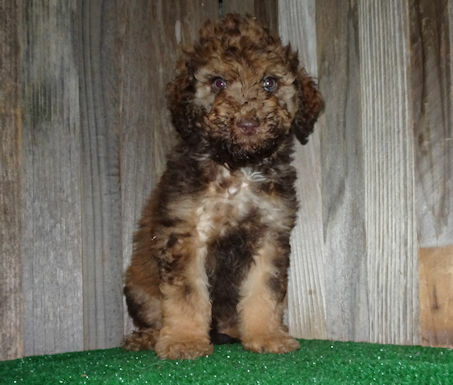 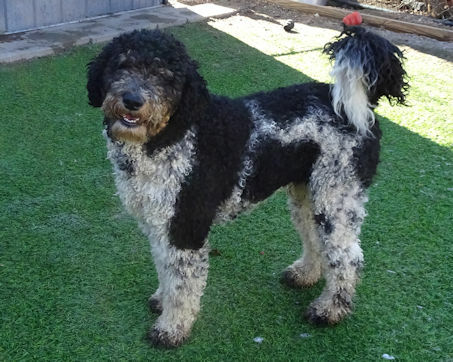 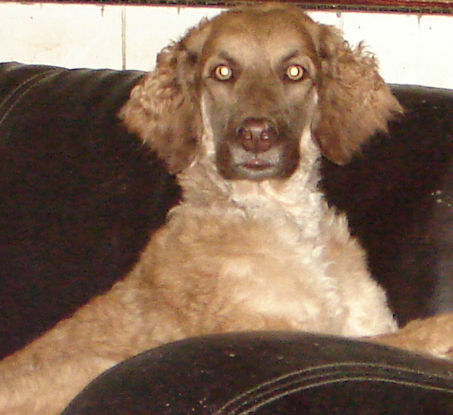 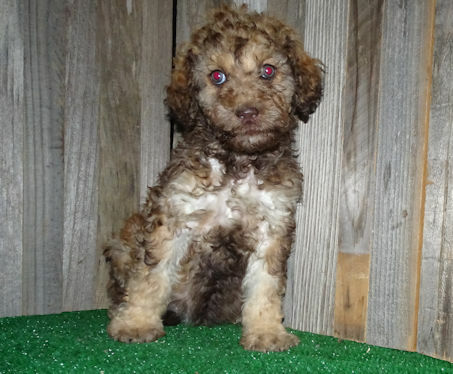 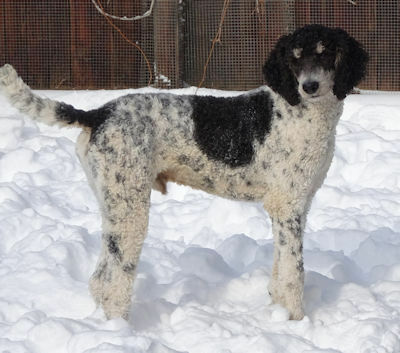 Labradoodles are wonderful family pets that are loving, devoted, intelligent, intuitive, and hypoallergenic. 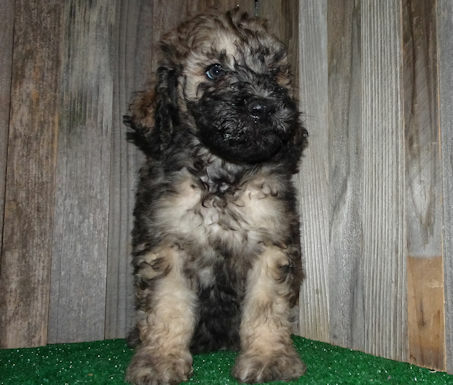 These puppies will mature to be around 35-50 pounds full grown. 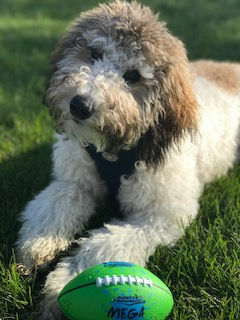 If you would like additional information, please call 303-277-1667 (evenings and weekends), or Email: contact.Note: All puppies are sold on a spay/neuter contract. 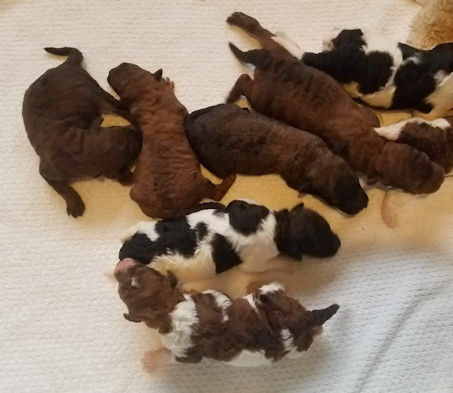 We are proud to announce that Bessa gave birth to a beautiful litter of Australian Labradoodles on April 6, 2019. 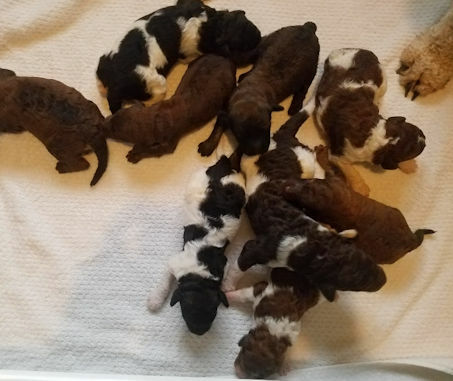 There are 9 babies in this litter (6 males / 3 females), in tri-color parti and sable patterns. 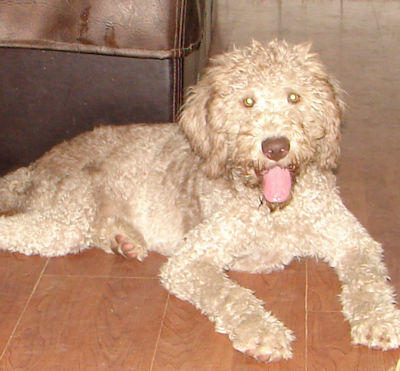 Labradoodles are wonderful family pets that are loving, devoted, intelligent, intuitive, and hypoallergenic. 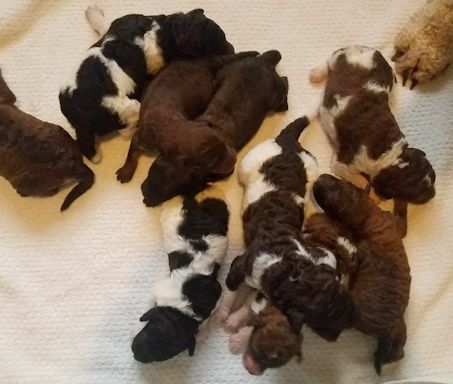 These puppies will mature to be around 45-55 pounds full grown. 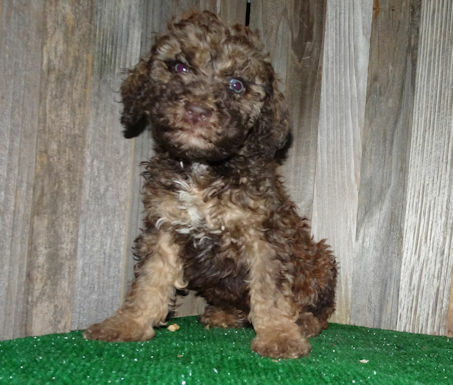 If you would like additional information, please call 720-278-9223 (evenings and weekends), or Email: contact.Note: All puppies are sold on a spay/neuter contract.